Goat milk is said to make your skin silky smooth, has tonnes of skin benefits and is easy to make. You’ll soon be the expert in your field and be producing some udderly amazing soap! It’s a great fighter of acne. Goats milk contains antibacterial properties which prevents acne organisms from developing. It’s creamy and high in fat, therefore effective in reducing inflammation, puffy-ness and moisturising the skin. High in vitamin A which is good for repairing skin tissues. Contains hydroxyl acid which helps remove dead skin cells. It contains a mineral called selenium which is believed to prevent skin cancer. Prep for your soap making by planning 24 hours ahead. Measure out your goats milk into ice cube trays and leave them overnight until completely solid. The next day, piece out all your individual cubes together in a container. Place this container in another larger one full of ice so that they stay chilled. Incorporate the sodium hydroxide into your frozen milk by slowly mixing half tablespoons at a time. Please take extra care when handling sodium hydroxide as it is a very corrosive chemical. Ensure that you’re mixing the entire time. This process will cause the mixture to warm up which can risk turning the colour darker so it’s vital that you keep your jug of cubes in its surrounding ice bath so that you end up with a lovely creamy colour. Once it’s all completely dissolved, add in the sodium lactate. Combine all of your oils in a separate bowl, using a bit of heat to incorporate them all together. Once cooled, add in your milky mixture gently into your oils on the edge of the bowl to prevent bubbles. Use a hand held blender to whist the two together in small, short bursts. Fill your silicone mould with the soap mixture and then place in your fridge immediately. After about a week they should be ready to de-mould, and then be ready to use in about 4 to 6 weeks once all dried! You can adapt this method to whichever scents you prefer or after seeing what works best for you. The ones we’ve included are not hoof bad but you could even add in bits of thyme or lavendar before moulding, whatever floats your goat! Once you’ve prepped and are ready to use your soap, place it in a soap holder of your choice. For more bathroom inspiration, check out our bathroom accessories! To celebrate National Gardening Week 2018, we have put together a list of our favourite edible flowers which you can grow at home! (No, we’re not pollen your leg…) Because why buy expensive edible flowers for cake decorating or herbal teas when you can just grab them from your garden instead? You can use the bright petals to flavour and cream soups, fish chowder and even egg dishes! You can also make your own chrysanthemum tea by drying out the leaves and placing them in tea strainer into hot water. The tea can provide many health benefits such as relieving stress and anxiety, migraine pains; digestion after a heavy meal, high blood pressure and can boost your metabolism. Pretty impressive for something which is just growing in the garden, isn’t it? It is quite well known that these stunning petals are often dried out, crystallized then used to decorate cakes. But, similar to Chrysanthemums, they can also be used to sooth respiratory and urinary tracts in the body and also relieve dry coughs. However, Hollyhock is one of the few flowers that can be used fresh in salads, added to light baking and infused in syrups due to its mild floral taste. 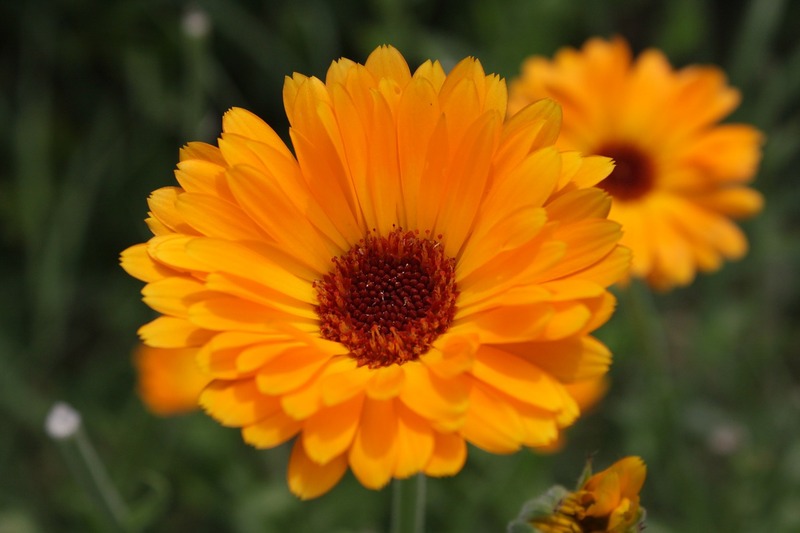 When first discovered, these plants were said to have relieved hiccups and the effects of being struck by lightening… Nowadays, Pot marigolds have a naturally intense colour and peppery taste making them great for soups, stews and puddings. You can also use the petals in vinegar or added to oil or butter – what could be butter? Coming from the strawberry and apple family, it is said that the more fragrant a rose then the nicer it is to eat! 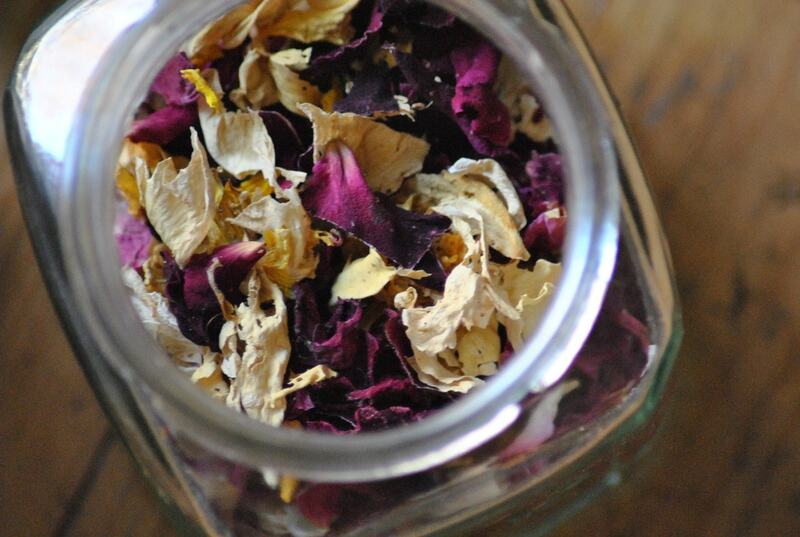 These petals can be crystallized, used to flavour drinks (eg rose lemonade) and even ice summer cakes. Other uses are to mix some dry petals in butter to make it more fragrant for baking, leave it amongst sugar to change the flavour of your tea, and to alter the taste of vinegar when used in salads. Are you able to rose up to the challenge? Hibiscus is known for its distinctive flavour and deep colours, although, many don’t realise that it has powerful antioxidant levels which are even higher than those in green tea! The most surprising common use for it is in tacos – yes, tacos – as it is commonly used as a meat substitute and mixed with roasted sweet potatoes and sautéed vegetables before being wrapped in a tortilla leaf. For the meat lovers, you can throw some hibiscus tea into a marinade to tenderise beef or lamb whilst adding a lot of lfavour and colours due to its tannins (which are the same as the ones in red wine). These delicate flowers are bursting with colour making them perfect to decorate soufflés or to garnish cakes with. They have been found to be slightly laxative and are also a gentle expectorant but have many uses such as used fresh in salads, used to colour and flavour vinegar, made into a delicate jelly, mixed into porridge, and even fermented into a sweet wine! It’s clear that these bright beauties have more to them than meets the eye, and can alter your cooking experience for the better! It is important to note that despite the Tiger Lily being fit for human consumption, parts can be toxic to cats so make sure that you keep your feline friends far from your culinary creations! In Asia, the plant is grown for its edible bulb, which when cooked, resembles a turnip flavour! You can also boil, pickle or use the bulbs to make starch/ The flowers, on the other hand, can be used fresh and dried in soups, salads, omelets and rice dishes. Make sure to do some research about what type of Tiger Lily plant you have though, as some can be unsettling for the stomach! These funky flowers are members of the mint family and have a surprisingly strong spicy scent which makes them perfect for tea but they also compliment savoury food such as bacon, poultry, rice and pasta. The strong flavour also makes it a perfect addition to a cocktail or in a sweet dish (such as cookies or muffins) alongside rosemary. If you have any left over, you can always throw them into a potpourris to add colour and spread its scent! Known for its majestic petals and use in cooking oils, the sunflower has many more uses in the kitchen. Pull the seedlings from your sunflower patch while they are around 6 inches tall. You can eat the sunflower sprouts straight from the ground, on top of salads, or in a stir fry, meaning that you get to enjoy a meal whilst cutting down on plant waste! You can also eat the leaves of older plants alone or in in a salad, meaning that not a single part of this flower goes to waste. You can also, of course, place the flower heads in a dry and well ventilated place and allow the seeds to mature before eating them too. This plant can basically give you a three course meal if you want it to! We chose this brightly-coloured, peppery flower as our favourite because you can use the whole flower in salad and pasta dishes, as well as on egg and toast as pictured above! Both the leaves and the petals of this flower are packed with nutrition and contain high levels of vitamin C meaning that it can help improve the immune systel, tackle sore throats and fight bacterial and fungal infections, whilst having lots of flavour packed in too! Why not make it the star of your meal tonight? It’s Mother’s Day on the 11th of March, and what better present is there than to make something for the woman who made you. We’ve put together Mother’s Day gift ideas, all doable before this Sunday. There are a range of levels of difficulty and length of project – so no excuses! To make this, all you’ll need is rope and your potted plant. Split the rope into pairs and tie it in sections to create the structure for your macrame holder (you can tie it around the pot to make your life a little easier). This little photo holder will be a great addition to any house. It’s great as it can be customised with the types of photos or prints your mum likes, whether these are photos of the family or quirky postcards. It’s a pretty simple make – just get hold of some planks of wood (you could even use pallets, we have a guide on how to find free or used pallets here). Attach binder clips to your wood, either using nails or hot glue. Fix hooks to the back of the wood, and hammer in corresponding nails to the wall. Now, just select your photos! If your mum is a fan of modern and unusual designs, this will go down a treat. You could even use scented candles to take it to the next level. Start with a cardboard or plastic mold (something like a yoghurt box would work well). Wipe your mold with oil will help with the removal process later. You can usually find metal circles of wire at the craft shop that would work really well for this. Mix your cement, and pour into the mold, adding your wire part way. Once you’ve added the desired amount, push your candle into the concrete. Wait for it to cure for 24 – 72 hours before removing the mold. This one is a great way to give a nice present on a budget. If you have any glass containers lying around, such as wine glasses or mason jars, take these and clean them (after making sure they’re not being used for something already!) Put masking tape or painter’s tape around your container in the pattern that you want. Now just to paint – you can use any type of paint but we think spray paint will give the cleanest finish. <if you do opt for spray paint, be sure to fully cover any areas you want to remain clear. This is not only has a fun and interesting design, but is also highly functional. If you’re sick of your mum telling you off for leaving things lying around on the landing, this may be the first step forward. To make this, you’ll want to take a thick dowel, and saw lines part way through it, spaced out evenly. Next, get hold of some wooden spheres (these can usually be found at the craft shop). Take some pieces of twine or leather, and attach this to your sphere. You can do this by either using a strong adhesive, or by drilling a hole in your sphere and threading your twine through. Now all that’s left is to thread it through the keyring, and tie it tightly to form a loop. We actually have a whole article for making a hanging side table. It’s very simple to customise and easier than you think to make – we promise! If your mum is a plant lover, this could be the perfect present for her. These holders can be made pretty simply, using thin wooden sticks, and either a hammer and nails, or strong wood glue. Make sure your pieces are of even size, and screw them into the wall when finished. A simple triangular mold can be made from thick cardboard (cut using a blade for precision) and lots of tape (the more the better – you don’t want any concrete leaks!) Pour in your concrete, tap it against the floor to remove any air bubbles, and remove the mold after 24 – 72 hours. For this DIY, you can either buy a new mirror, find a second hand one in a charity shop, or breathe new life into an old mirror your mum may have resigned to a dusty corner of the house. You’ll need to get your hands on painter’s tape and paint (preferably one designed for glass or metals). Lay the painter’s tape in the design you want, and paint on your paint, applying more than one coat if necessary. Remove the painter’s tape when the paint has almost, but not quite fully, dried. Check out how to make this DIY Bath Tray here! We hope these Mother’s Day gift ideas helped to inspire you. Mums are pretty great for loving whatever you get them, and we’re sure if you try to make something, they’ll appreciate the time and effort gone into it (and love it even if it turned out… differently than planned). If you make any of these projects, we’d love to see! Feel free to send us mail via our Contact page. Have you got a forgotten piece of furniture lying around in the garage that you don’t know what to do with? Or maybe you’re one of those people who can’t help but keep an eye out for treasures in rubbish skips? Whatever the case, don’t miss out on this step by step guide for upcycling an old piece of furniture into a DIY play kitchen. The results are surprising! To give a second life to an old piece of furniture all that’s required is a bit of DIY knowledge or some skills as a handyman (or woman). No matter how beat up it looks, it is possible to totally transform your item and give it a second chance. If you need convincing, just see for yourself how this old unit has been converted into a play kitchen for the kids. Wooden plank measuring 1000 x 69 x 18mm for the oven door and another measuring 900 x 470 x 9mm for the skirting on the counter. If you already have the tools required, the approximate price of the materials is less than £60. In this sample shopping basket you can purchase some of the necessary tools and materials. This project will take at least a day to complete, given that the work is fairly detailed. For this reason, due to its medium level of difficulty, this project is recommended for DIYers who already have some experience of carrying out similar projects. When you want to upcycle an old piece of furniture, first you need to check the overall state of the item, as well as repairing and replacing any damaged parts. Removed the legs to make the unit shorter and more suitable for children. Took off the back and other damaged parts such as the hinges, which were rusty. Replaced missing parts such as the knobs. Deep cleaning with alcohol to remove dust, dirt, glue stains etc. Next, sand the entire surface of the unit with a handheld sander. In areas with beading or difficult-to-reach corners, use the sanding accessory on a multi-tool. By sanding you even out the surface as well as improve the paint’s adhesion to the unit. The next step involves applying primer and then painting the unit. If your item of furniture has beading or moulded parts, it will probably be quicker to use spray paint for this. After applying a coat of primer and waiting for it to dry according to the manufacturer’s instructions, you can paint the piece. We have chosen a light blue colour for the base and white for the counter top. We have also painted the surface of the backplate with blackboard paint. When the paint has dried, attach the backplates to the unit, one after the other, using the staple gun. Outline the section to be cut out to hold the metal tray, which will serve as the sink. Cut out the hole using the saw accessory on your multi-tool. Make a hole for the tap using the drill. Create the oven top using a sheet of MDF measuring 270 x 270 x 3mm. Paint it black then stick on hobs cut from adhesive red vinyl. Give the counter a granite look by stippling black and grey paint. Attach the sink, hob and a plank measuring 900 x 470 x 9mm as skirting, using the adhesive mounting tape. To make the oven door we have used a methacrylate sheet and some planks of wood. First, cut the methacrylate sheet to your door size (35 x 24cm). Next, cut two planks to 36cm long and two more to 11.5cm. Paint these black and attach to the methacrylate sheet with adhesive mounting tape. Lastly, attach the handle and a couple of hinges to join the door to the unit. You will also need to attach 3 knobs to the top drawer to act as the oven controls. The final step is to attach the door below the sink. To do this, we replaced the original hinges as they were rusty. The new hinges are a bit bigger, meaning we had to make a bigger notch for them using the multi-tool. Once these adjustments are done, screw the hinges to the door and the unit. Once you’ve completed all of these steps, this is what the upcycled unit looks like. Isn’t it amazing? This play kitchen is perfect down to the details, and the young ones of the house will spend many a long hour enjoying themselves, inventing recipes or doodling on the blackboard. What do you think about the transformation of this old piece of junk into a DIY play kitchen? We’d love to encourage you to give a second life to an old piece of furniture using DIY – here’s a link for more inspiration, featuring 11 ways to upcycle your old bits of furniture.